My grandchildren live very far away, and because I miss them so much, I enjoy making photo displays of them to scatter around the house. With the help of an artist tray and a Project Life kit, I made this quick and easy-to-assemble photo frame. I am planning a class to make this beautiful and unique project. The class will be held on Thursday, June 15th at 1:00 pm and 6:30 pm in my stamp studio located in Denton, Maryland. The cost is $25 and all materials (except adhesive and personal photos) are included. The last day to register is Monday, May 30th. Do you like the idea of scrapbooking but don't have the time? Join the club...I am also a member of that club. I love taking pictures but never seemed to have the time to organize them so I can enjoy them and share them with my friends and family. If you would like to check out our Project Life product, CLICK HERE and then click the Project Life link in the left column. See something you like? Just click on "add to bag"...ordering is that simple. If you want to know more, feel free to contact me. I am "at your Serviss". I was not blessed with a wonderful memory so I depend on my photos to remind me of all those special moments of my life as well as the everyday ones too. It is just one of the reasons why I love Project Life. It makes recording those moments through photos quick and easy and downright FUN!! this month's hostess code is AUTF3Q3G. Use this code when you place your order and receive a gift from me. on the basic kit below or any $50 order that contains at least two Project Life items. placing your order with me by phone with a credit card and receiving instant free shipping. If you choose to place a phone order, I can be reached at 410-479-4348. If you are connected to my voice mail when calling, please leave your name, phone number and a good time to call you back and I'll return your call. Here's a sample of two pages completed using the Project Life Memory Keeping system. Get your photos off of your computers, your cell phones and your shoeboxes, and instead, put them into an easy format that you can share with your family and friends for years to come. This offer expires Monday, May 4, 2015. Here's a collection of fun cards and a "Memory Making" Project Life page...everything made with the FREE This Day Project Life kit! For even more ideas from Project Life creator, Becky Higgins, CLICK HERE. All you have to do to cash in on this great deal is to place a $50 order from any current Stampin' Up! 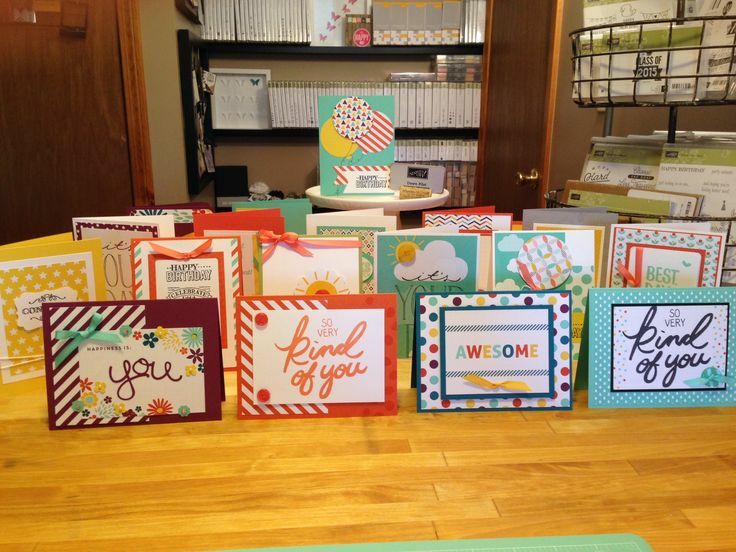 catalog and choose the Project Life kit as your free Sale-a-Bration item! But take note...offer ends on March 31, 2015. If you don't have any current catalogs, just click the links in the left column of this blog. If you need help, keep in mind, I am "at your Serviss" so feel free to contact me. To place your order, just CLICK HERE to go to my Online Store open 24/7 for your convenience. To start, it's best if your pictures are already edited for lighting, cropping, etc. Go to www.picmonkey.com and hover over the collage link at the top of the page. By doing so, you will see options to upload photos from your computer, Facebook, Dropbox and more. Choose the photos you want to use. You can hold down the "ctrl" button and click on several to use more than one at a time. When done, click "open". Add photos to the two outside boxes and delete the center one. As I said in the beginning, I am a newbie to all of this so hopefully the instructions are clear enough for you to follow and be able to make your own 4 x 3 photos to use with your Project Life projects! If you would like to check out the assortment of Project Life products by Stampin' Up!, just CLICK HERE to go to my ONLINE STORE open 24/7 for your convenience and click on the "Project Life" link in the left column. As always, I am "at your Serviss" so feel free to contact me with any comments or questions. But Project Life has come to my rescue...it is similar to scrapbooking but so much faster with less fuss. Now don't get me wrong...if you like fuss, you can add it...but it's not necessary because the pre-printed cards do all the work for you. Check out the video below highlighting the Little Moments card collection and how to use it to save those precious memories. If you would like to know more about Project Life, please contact me. I would love to share my "new found love" with you! If you would like to place an order for your own Project Life supplies, just CLICK HERE to access my ONLINE STORE open 24/7 for your convenience. Look in the left column for a link to all of the Project Life products. Hope you will come back often to visit my blog! I'm excited to announce an awesome Giveaway! Check out the video below to learn everything you ever wanted to know about Project Life! It's easy to enter. Just click the following link...http://bit.ly/1zGMaH4. Good luck! Have an awesome week...and take time to stamp! It doesn't get any easier than this!! Do you have hundreds of photos stored away in a box? Or maybe they are stored on your computer or your phone. Would you like a simple a fun way to get them in a book for everyone to enjoy? PROJECT LIFE TO THE RESCUE! Anyone can do this simple method of memory keeping. It is so basic and so simple. You can keep it simple or make it fancy...your choice!! Buy prepackaged inserts to tell your story or make your own...or even combine the two. Check out the newest Project Life supplies that you can purchase at my ONLINE STORE. Just CLICK HERE and enter Project Life in the search box. You are going to be delighted!! If I can answer any questions or assist you in any way, please let me know. I am "at your Serviss"! Project Life Meets Stampin' Up! I am so excited to let you know that Stampin' Up! has partnered with the amazing Becky Higgins to bring you the real deal—authentic Project Life products, now in exclusive Stampin’ Up! colors and designs. If you’ve somehow missed the Project Life craze and are wondering what it’s all about, we’ll fill you in: it’s a super simple, totally affordable way to get your photos into albums: you just slip your photos into Photo Pocket Pages and add designed cards. It’s a back-to-basics approach to documenting your life. In a nutshell, it’s all about spending more time making memories and less time scrapbooking them. Can’t wait that long? Stampin’ Up! demonstrators will be able to order the limited selection starting April 21. If you’re not a demonstrator, here's a fun business opportunity for you...sign up and you can order the products early too!